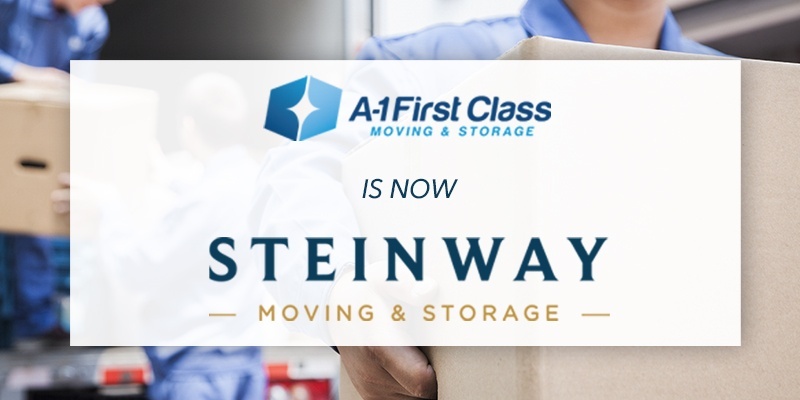 A-1 First Class has recently acquired the assets of Steinway Van & Storage, a 90-year moving and storage company in Queens, and will continue to operate under the Steinway brand name going forward. At the helm is Matt Schwartzberg, who has been an integral part of the company’s growth over the last 26 years. Responsible for leading sales and marketing efforts, Schwartzberg’s focus is to continue to build and maintain the company’s impressive client base in the New York Metro region. Steinway Moving & Storage prides itself on providing professional and accredited moving and storage services for both luxury residential and commercial clients throughout New York City, the Tri-State and greater Northeast areas. Based in Brooklyn, Steinway Moving & Storage currently has a sales office in Manhattan and a storage facility in New Jersey. A Long Island native, Schwartzberg is eager to establish a satellite office there in the near future as well in order to better serve the region. 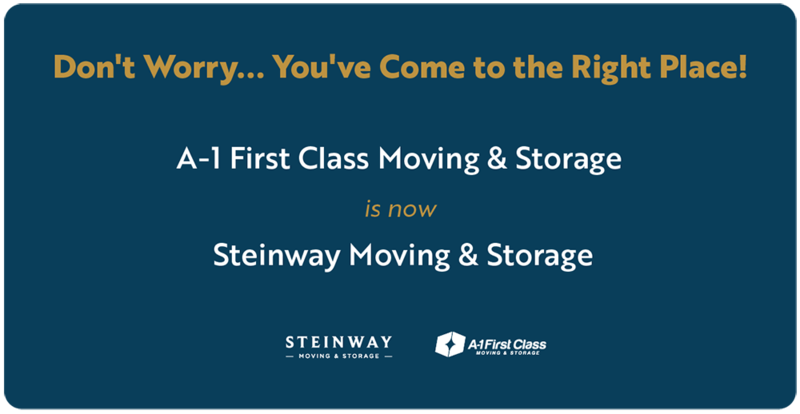 This saturation, coupled with their national presence as an Atlas Van Line agent, will allow Steinway Moving & Storage to provide more comprehensive service to their clients. For Schwartzberg, continuing to cultivate his vision and develop the company culture is of paramount importance, but he emphasizes that this is strictly a team effort. Along with his business partner Tim Gurtner, leader of Steinway’s Commercial Services Division, and Laurie B. Koehler, VP of Business Administration, he has built a company that prides itself on service “from the first contact to the last piece in.” Everyone, from the movers, drivers and packers to the coordinators and administrators, contributes to the face of Steinway Moving & Storage, many of whom have been with the company for more than a quarter of a century. “We believe we have a personal responsibility to make people’s lives easier during the relocation process. Our mission is to be a great mover, a great employer, and a great friend,” explains Schwartzberg. This commitment to quality is what sets Steinway Moving & Storage apart from the competition, and is the key reason they have been able to build lasting relationships with clients throughout the last five decades. Their reputation for being honest, reliable and fair precedes them. Simply put, Steinway Moving & Storage has never lost sight of what matters most: the people they are serving. Schwartzberg lauds his team, down to a person, for their unwavering dedication to each client. “They feel a personal responsibility to making the move as easy as possible,” he says. Strategic planning, meticulous focus on even the smallest details and a heightened sense of urgency are all attributes Steinway Moving & Storage puts into each and every job they take on, along with a “hands on” approach rarely seen in the moving industry. As Schwartzberg attests, “The bottom line is that experience matters. And we have a lot of it.” He points to Gurtner as an integral part of the company’s growth, crediting his 14 years and his unmatched knowledge of the industry as a driving force behind their continued success. The plan going forward is to take this expertise and use it to continue to solidify Steinway’s reputation as the premier New York moving company. By steadily building a stable of high end residential and corporate clients, Steinway Moving & Storage has established a foothold in the five boroughs as they take on everything from moves “across town” to relocations across the country. By early 2019, the goal is to have all warehouse inventory available online, and to continue to embrace a migration toward digital by utilizing virtual estimates, video surveys and apps to make every step of the process as convenient for the customer as possible. Schwartzberg hopes that this strategic merging of A-1’s tremendous base of loyal clientele with Steinway’s rich tradition as a long-standing brand of excellence in the New York City moving market will spell continued success going forward. He looks at each day as a new opportunity to demonstrate the personalized care that sets Steinway Moving & Storage apart from every other moving company. With his team at the ready, Schwartzberg intends to do just that. Matt Schwartzberg is a graduate of Hofstra University, with a degree in Business Management. Schwartzberg serves as a board member of the Long Island chapter of the Young Presidents Organization (YPO), the Executive Association of New York City (EANYC), the New York State Movers Association and the Long Island Moving and Storage Association (LIMSA). For further information or to request a quote, contact Steinway Moving & Storage at 718.278.9090 or email Info@SteinwayMovers.com.